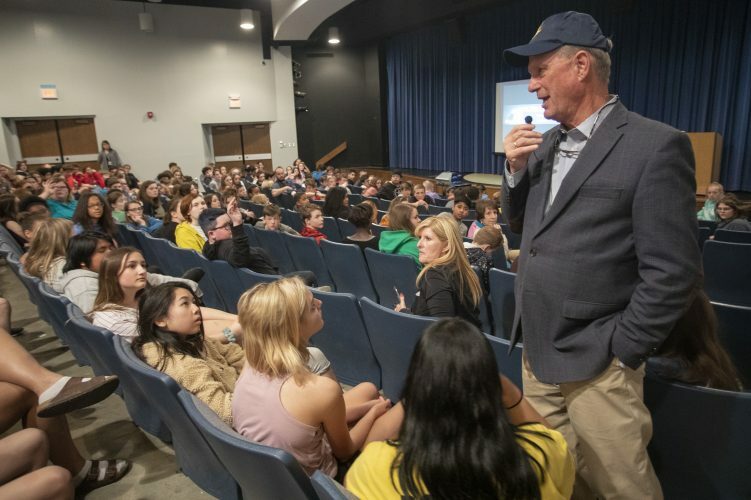 Both the Firebirds and Lions held scrimmages among their players at their respective schools. Lawrence High head coach Dirk Wedd blows the whistle as players Peter Afful, left, and Coulter Strauss go head to head, each trying to overpower the other prior to a scrimmage Saturday, Aug. 22, 2015 at Lawrence High School. 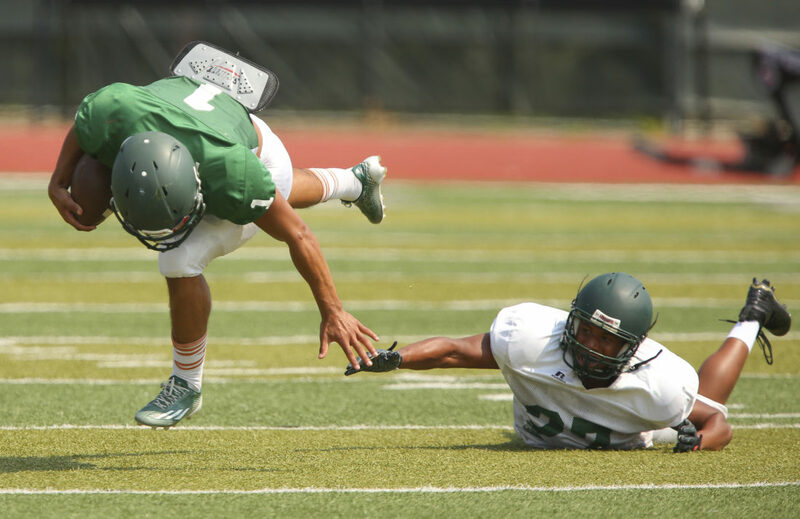 Free State quarterback Bryce Torneden looks to stiff arm defensive back Zion Bowlin (27) during a scrimmage Saturday, Aug. 22, 2015 at Free State High School. At left is FSHS offensive lineman Tanner Liba. 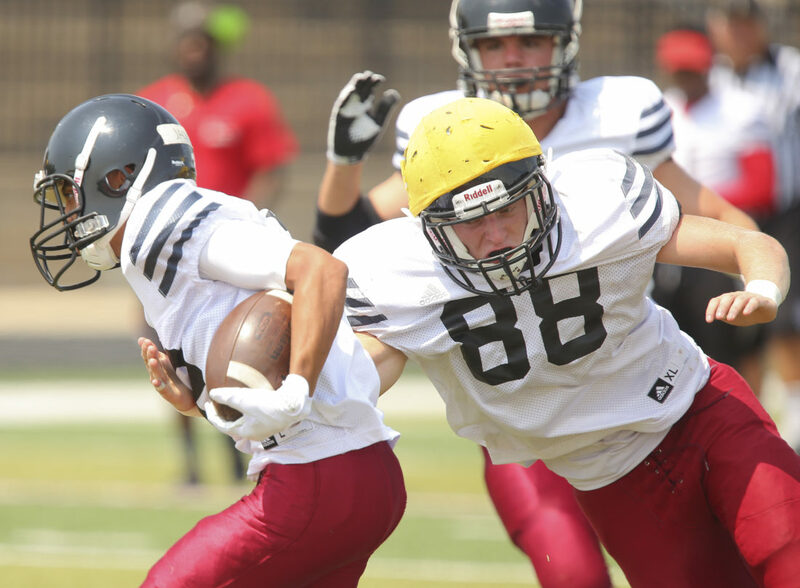 Lawrence High defender Tanner Green finishes a play after his helmet dislodged during a scrimmage Saturday, Aug. 22, 2015 at Lawrence High School. 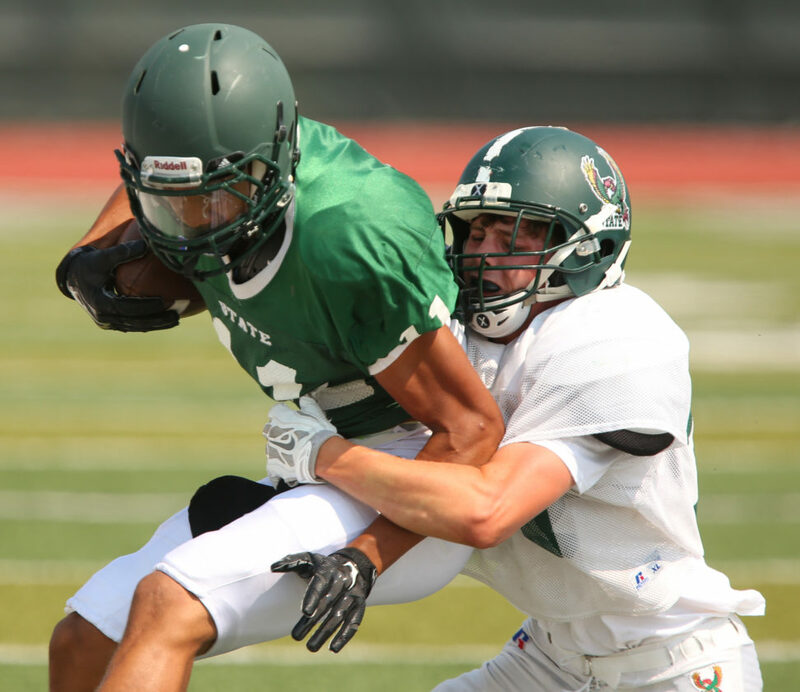 Free State linebacker David Johnson wraps up receiver Zack Sanders during a scrimmage Saturday, Aug. 22, 2015 at Free State High School. 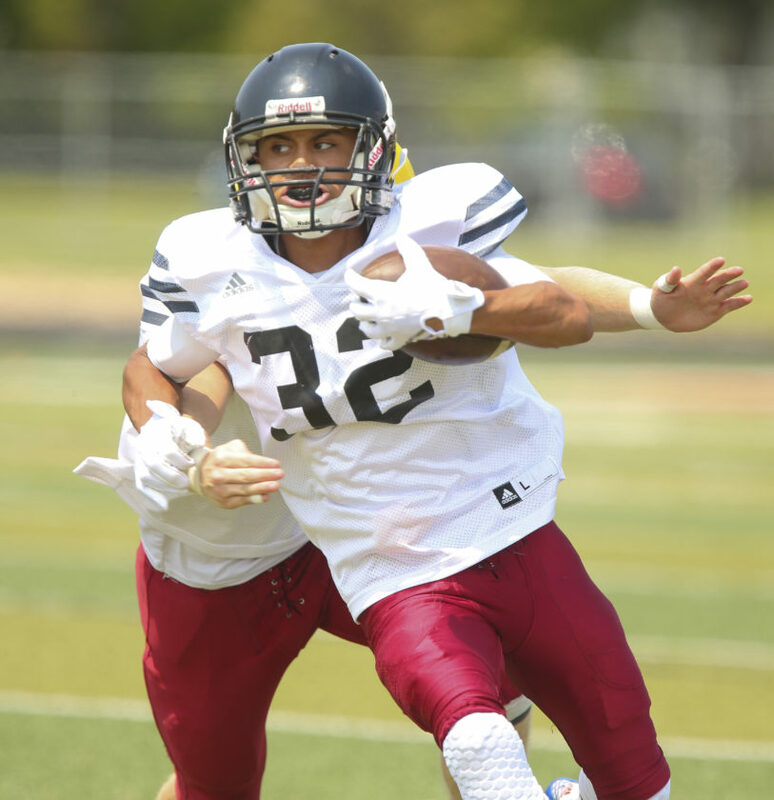 Lawrence High running back Trey Moore looks to break away from a defender on a run up the field during a scrimmage Saturday, Aug. 22, 2015 at Lawrence High School. 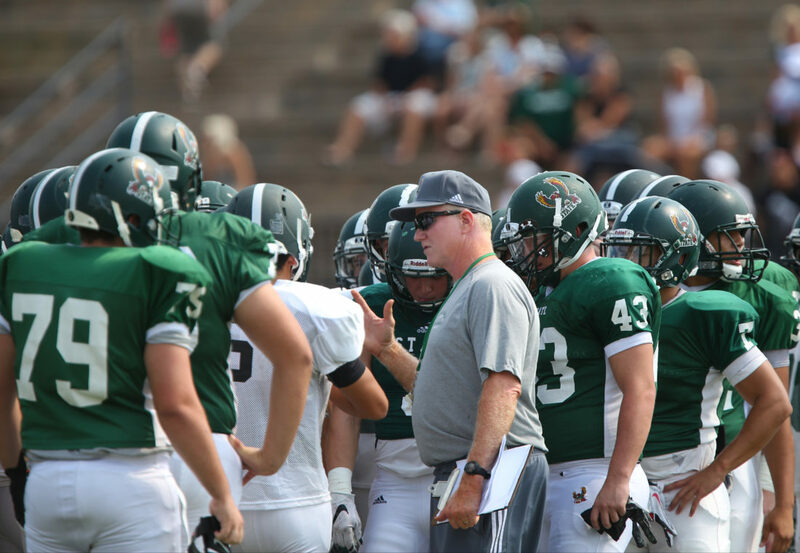 Free State head coach Bob Lisher talks with the Firebirds prior to the start of a scrimmage Saturday, Aug. 22, 2015 at Free State High School. 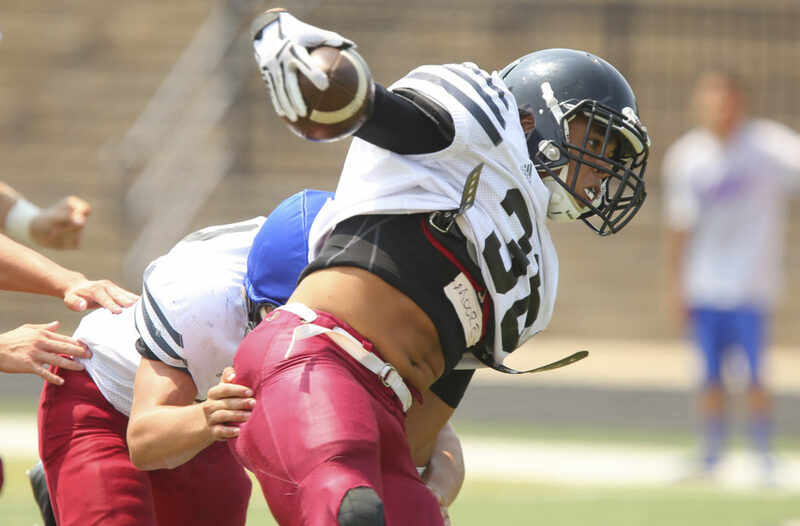 Lawrence High running back Dante' Jackson is trailed by a defender during a scrimmage Saturday, Aug. 22, 2015 at Lawrence High School. 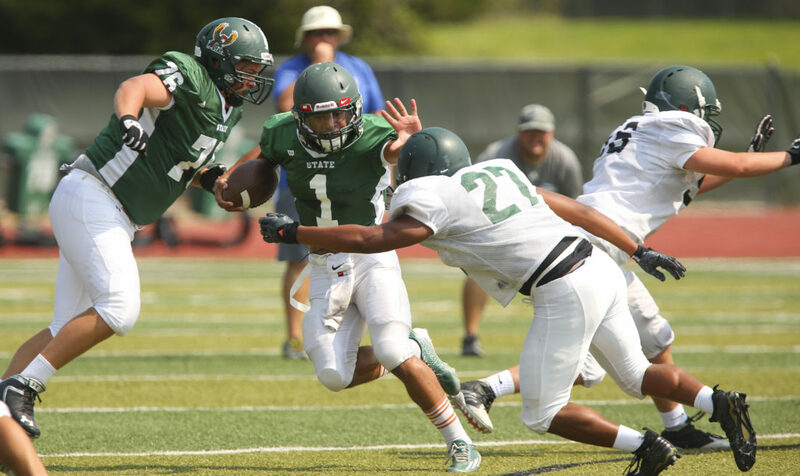 Free State quarterback Bryce Torneden escapes a tackle from defensive back Zion Bowlin during a scrimmage Saturday, Aug. 22, 2015 at Free State High School. 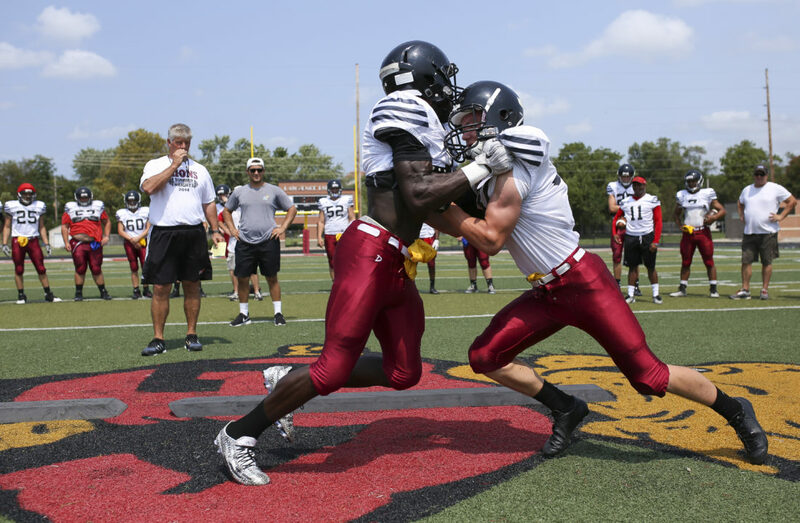 Lawrence High linebacker Matt Jacobsen looks to bring down running back Dante Jackson during a scrimmage Saturday, Aug. 22, 2015 at Lawrence High School. Lawrence High first team players take a knee on the sidelines during a scrimmage Saturday, Aug. 22, 2015 at Lawrence High School. 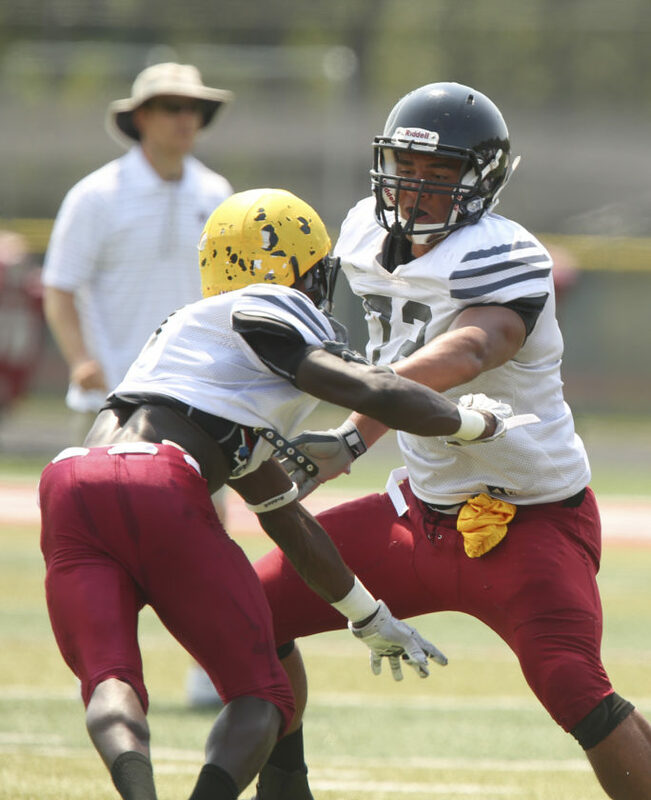 Lawrence High lineman Amani Bledsoe puts a block on linebacker Peter Afful during a scrimmage Saturday, Aug. 22, 2015 at Lawrence High School. 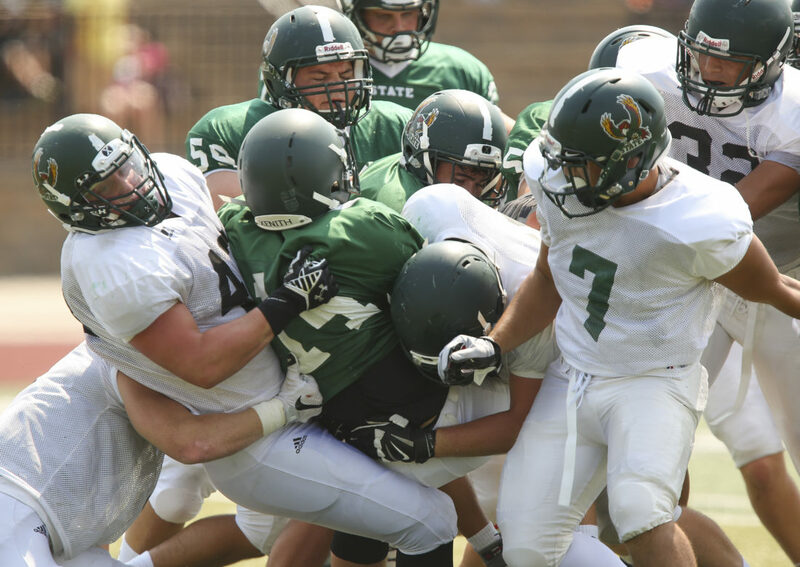 Free State linebacker Jay Dineen, left, drags down tight end Drew Wise during a scrimmage Saturday, Aug. 22, 2015 at Free State High School. 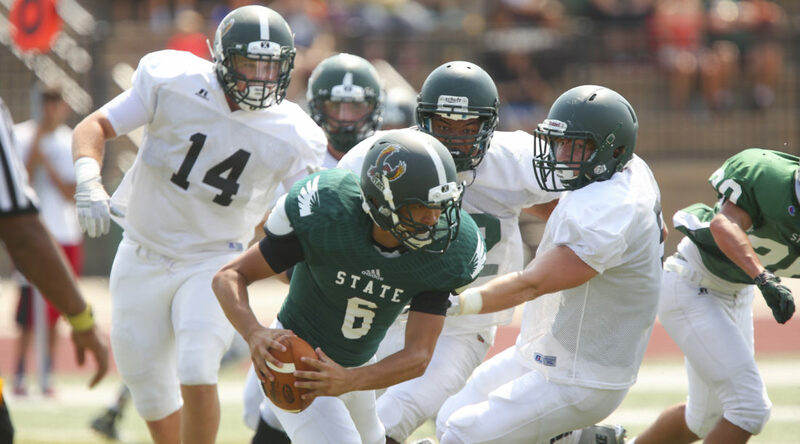 Free State defenders Sam Skwarlo, right, Jalen Galloway and Drew Wise chase after backup quarterback Jack Flynn during a scrimmage Saturday, Aug. 22, 2015 at Free State High School. 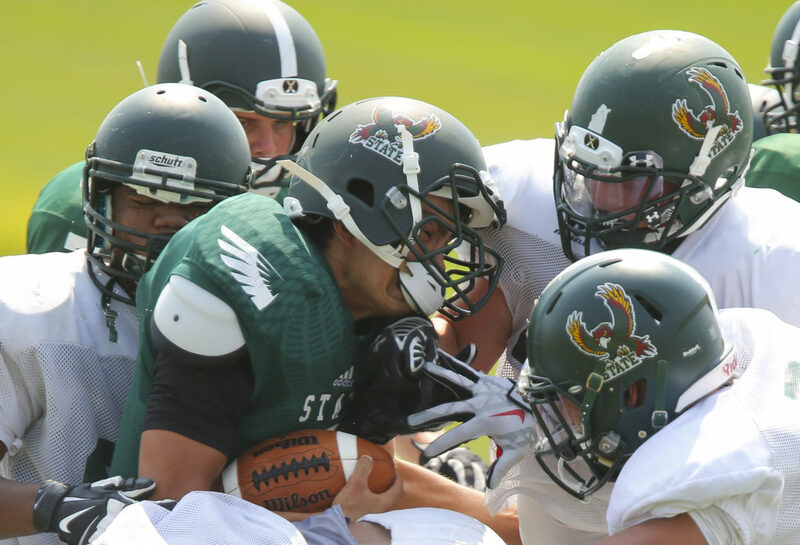 Free State backup quarterback Jack Flynn is wrapped up by a crew of defenders during a scrimmage Saturday, Aug. 22, 2015 at Free State High School.